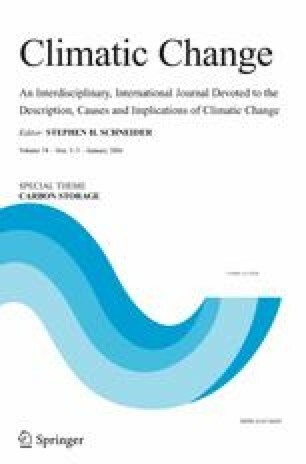 This study investigates commonalities and differences in projected land biosphere carbon storage among climate change projections derived from one emission scenario by five different general circulation models (GCMs). Carbon storage is studied using a global biogeochemical process model of vegetation and soil that includes dynamic treatment of changes in vegetation composition, a recently enhanced version of the Lund-Potsdam-Jena Dynamic Global Vegetation Model (LPJ-DGVM). Uncertainty in future terrestrial carbon storage due to differences in the climate projections is large. Changes by the end of the century range from −106 to +201 PgC, thus, even the sign of the response whether source or sink, is uncertain. Three out of five climate projections produce a land carbon source by the year 2100, one is approximately neutral and one a sink. A regional breakdown shows some robust qualitative features. Large areas of the boreal forest are shown as a future CO2 source, while a sink appears in the arctic. The sign of the response in tropical and sub-tropical ecosystems differs among models, due to the large variations in simulated precipitation patterns. The largest uncertainty is in the response of tropical rainforests of South America and Central Africa.